David Vuillemin burst onto the scene in 2000. The transition was on for the 2000 AMA Motocross National Championship—Ricky Carmichael, the previous dominator of the 125 class, was moving up to the 250s after landing three-straight crowns in the small bike class. But how would RC do on the bigger bikes? He had ridden a 250 with disastrous results in supercross in 1999, and while his 2000 season indoors had gone better, he was not a consistent threat to win. Also, Travis Pastrana was about to explode on the professional motocross scene, packing as much hype and anticipation as any rookie ever. But as spectacular and talented as Carmichael and Pastrana are, they had some serious competition line up in front of them. In 2000, a French revolution was on hand. A decade after Jean-Michel Bayle arrived on our shores, a whole crop of Frenchman had been raised with the dream of racing and winning in the U.S. By 2000, a trio of them were ready to do it. Sebastian Tortelli had been super-fast during the 1999 Nationals, but a wrist injury knocked him out of the championship at the halfway mark. He was back with a vengeance in 2000. And David Vuillemin was about to embark on his first U.S. outdoor tour, coming in with a ton of momentum after a superb supercross season, where he took second in the championship behind Jeremy McGrath. And in the 125s, Stephane Roncada took the East Region SX Title and looked to move forward outdoors. 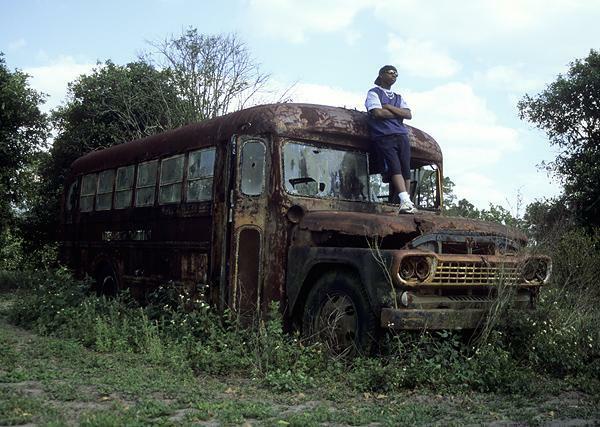 Travis Pastrana exploded on the professional motocross scene in 2000. But at the Glen Helen opener, Carmichael proved he was up for the challenge of the 250 class, going 1-1 in his first-ever 250 outdoor race, and holding back Tortelli straight-up in the second moto. With Tortelli pushing the pace hard, and Carmichael matching that and then some, they raised the speed limit for outdoor motocross. Then Vuillemin struck not with speed but versatility, winning on an incredibly hot day at round two in Hangtown, and then again on a muddy afternoon at High Point. DV had claimed two straight wins in varied conditions, but his luck went south at Southwick when he ran into mechanical troubles. Carmichael was back on his game to win there, before long he and Tortelli had reestablished themselves as the fastest men in the game. At Budds Creek, Carmichael came through the pack and caught Tortelli on the last lap, slammed him in a corner and stole the win. At the next race at Red Bud, though, Tortelli was having none of it when he railed to the win. In the meantime, Roncada was dominating the 125 ranks. At Red Bud, he won his third race of the season and further stretched his points lead. 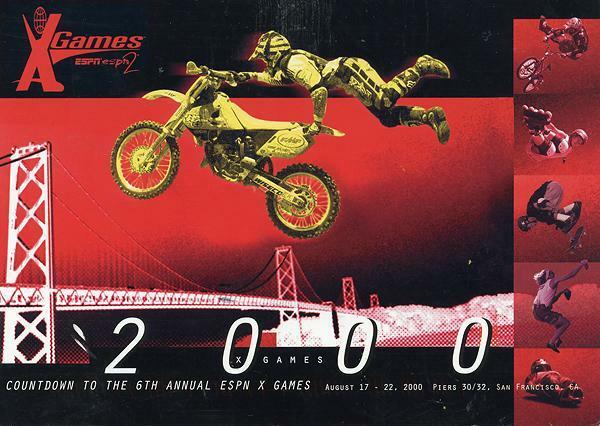 On July 4th, 2000, two fast Frenchman straight-up took it to Carmichael and Pastrana, and with Vuillemin knocking on the door of McGrath indoors, the world seemed set for a full-on takeover. 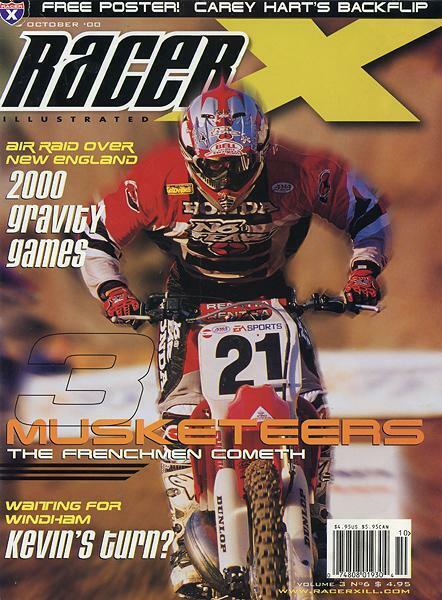 That's Sebastian Tortelli gracing the cover of Racer X in 2000. Not so fast. At Unadilla, Carmichael and Tortelli split motos, with Carmichael edging Seb’s 1-2 with a 2-1. Roncada kept rolling with his third-straight win, though. Before long, the young Americans were going to strike back. In Troy, Ohio, Tortelli twisted his ankle, and Carmichael just kept speeding up. He started winning everything in sight, and the rookie-season championship was a foregone conclusion. RC completely dominated the second half of the year, ending the tour on a six-race win streak, and his nine wins on the season actually broke the record for most wins ever in a single season. Looking back at Carmichaels’ career dominance, the early season charge from Tortelli is mostly forgotten. And so is the whole French revolution thing, because Roncada started feeling the heat, too. The early season of the 125 class featured a pretty wide-open battle. 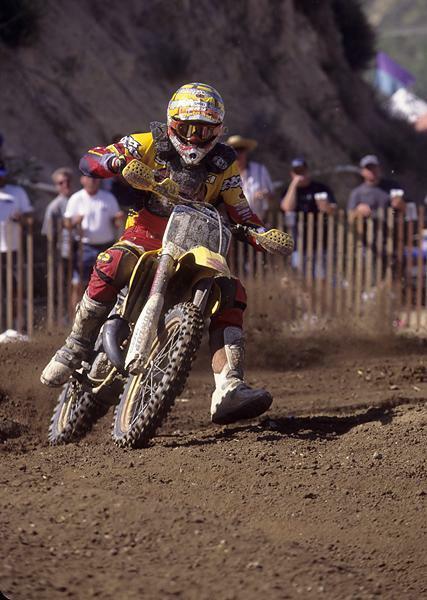 The 1995 and 1996 Champion, Steve Lamson, rose from the career ashes on his own backdoor Honda effort to win his home race at Hangtown. Then Kelly Smith scored KTM’s first-ever national win in the U.S. at a muddy High Point round. Tallon Vohland, who took Carmichael’s spot on the Pro Circuit Kawi team, was fast, too. But by midway, Roncada was clearly the dominant force, with Pastrana the clear second-place man. Then Pastrana caught fire. Hard to remember how spectacular Travis was in his racing days ten years ago (which seems like one-hundred now), but he was simply magic during the summer of 2000. He started clipping off national wins, and then even went to the X Games and won the freestyle contest on the off weekend! It would take a miracle for Pastrana to catch Roncada in the points, but Travis was a magic man back then, and he rolled through Washougal, Millville and Binghamton with dominant wins. Roncada, meanwhile, crashed at Millville and hurt his knee, leaving him relatively powerless to stop Pastrana. It came down to the finale at Steel City, in a winner-take-all battle. Interestingly enough, the two riders grew a friendship through the battle, running stickers to promote each other on the chest protectors—the kind of thing that can only happen with personalities like Pastrana and Roncada. At Steel City, Pastrana pulled through and won both motos to claim the title in his rookie season. At the end of the season, 1999 250 National Champion Greg Albertyn called it a career. Albee broke his femur at the Atlanta Supercross, and recovered quickly to make it back for the Glen Helen opener. There, he looked as fast as ever, but he tore his ACL at Hangtown. Struggling with injury all year, the popular South African logged a victory lap for the fans at Steel City, and slipped into retirement. With Carmichael and Pastrana at the top, America had claimed two massive new stars. 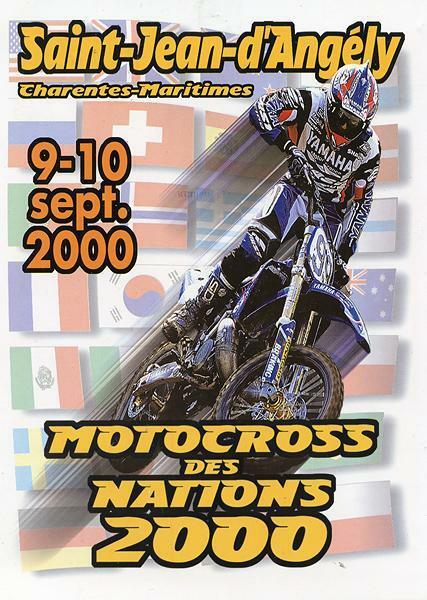 For good measure, Team USA finally got its act together at the Motocross des Nations (in France, no less) as Pastrana teamed up with Carmichael and Ryan Hughes (who was over racing the GPs) to claim Team USA’s first trophy since 1996. Hard to believe that Pastrana was once this effective and consist as a racer—but then again, it’s hard to remember that for a brief time a decade ago, France looked set to take over the American Motocross scene. 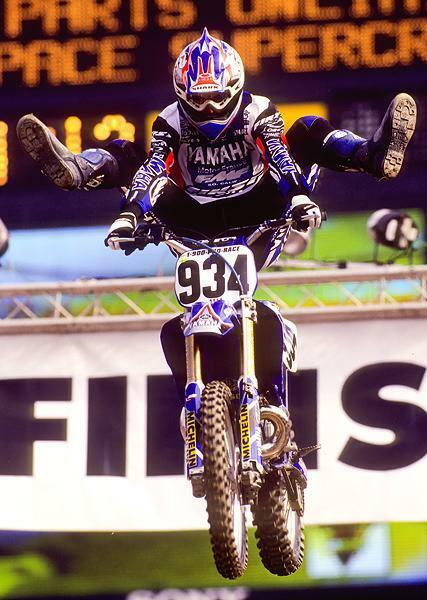 Pastrana won the 125 title in 2000.